Scent of this fragrance is described as citrus floral cream Designed for rebellious, independent, creative, free spirited girl Opening has notes of passion fruit, kiwi, washed fruits The heart blends floral notes of freesia, hyacinth, palm leaves Dry down to woody notes of amber, sandalwood. 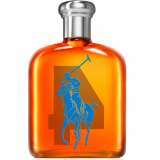 Ralph Lauren Ralph Rocks Body Lotion (Unboxed) 50ml (L) The composition begins with kiwi and passion fruit notes. The heart exudes with the mixture of freesia, orange blossom and hyacinth notes together with green palm leaves. In the base there are sun-warm wood and amber. Ralph Love is inspired by the excitement of a first crush, heating up a sunny date with a playful mixture of luscious red apple, sweet cotton candy accord and intoxicating pink rose. Ralph Love has that same kind of easy fun spirit. Lauren Style by Ralph Lauren is a oriental floral fragrance for women. Lauren Style was launched in 2004. Top notes are lime, orange blossom, violet leaf and tangerine; middle notes are magnolia, gardenia, indian tuberose and jasmine; base notes are patchouli, musk and vanilla. 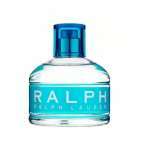 Ralph Wild by Ralph Lauren is a floral fruity fragrance for women. Top notes are watermelon and wild strawberry; middle notes are red rose, cherry blossom and jasmine; base notes are sandalwood and musk. It is recommended for daytime wear. 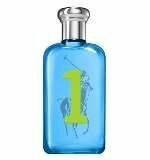 The floral citrus scent of Ralph Lauren Blue is a fresh, invigorating mix of sparkling grapefruit and cool blue lotus. Summer Romance by Ralph Lauren is a Floral Fruity fragrance for women. 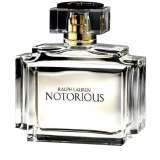 The fragrance features passionfruit, hibiscus and tiare flower.